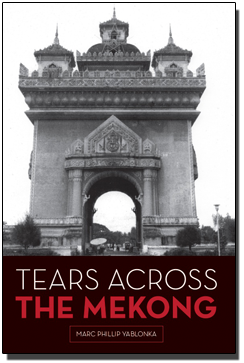 In his latest work, Tears Across the Mekong, military author and journalist Marc Yablonka has once again set the bar for authenticity and historical perspective in his latest anthology on the Vietnam era in Southeast Asia. As related to us by a well thought-out collection of personal interviews with participants who lived through these events, a vivid and compelling story emerges that takes the reader back nearly a half century to describe what it was like to be part of what is now referred to as the 'Secret War in Laos'. While the Vietnam war and its aftermath have been thoroughly documented in fact and fiction, Tears Across the Mekong offers insights on that war-torn era's impact on the Laotian populace, particularly in its effects on the sturdy and fiercely-loyal Hmong mountain tribesmen, who took up arms on behalf of the U.S. to combat the brutal hardships wrought by the Communist regime that seized control of their historically peaceful nation.